In this commentary, J. Lennox Scott, chairman and CEO of John L. Scott Real Estate, offers a 2018 housing forecast for the Puget Sound/Seattle market. 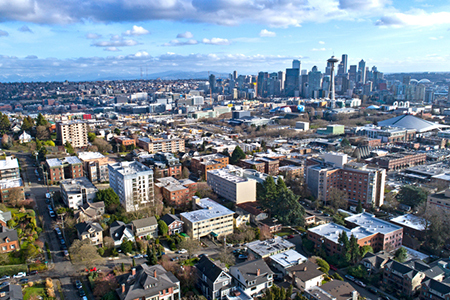 The hot housing streak in Greater Seattle will continue for the sixth straight year in 2018. Similar to 2017, Puget Sound is poised for another year of intense sales activity for new listings. Buyers will be hungry immediately after the calendar turns, yet the number of new listings coming on the market will be relatively low until March. Once again, we will begin the year with a high number of multiple-offer situations. The biggest price appreciation boost happens the first four months of the year, and this shows up in closing numbers from February through June. Moving into spring, the number of new listings will grow, and this will continue through the summer months. Starting in May, we will experience dispersed buyer energy as buyers gain access to a greater number of homes available for sale each month. We will see the typical yearly housing cycle in which the median home price flattens out towards the second half of the year. Overall, we anticipate 8 percent-plus price appreciation close to the job centers and in the more affordable and mid-price ranges, where we are experiencing a shortage of unsold homes in surrounding counties. Job growth: Lowering from very strong to strong – In 2017, job growth has been considered very strong in the mid-2 percent range. The job growth projection for 2018 is strong in the high 1 percent range and will maintain the pressure cooker-level of sales activity intensity as more people continue to move into Puget Sound. Buoyed by the tech sector, job growth in the Puget Sound region is predicted to be 0.5 percent above the national average in 2018. Home interest rates to remain historically low – Interest rates are currently in the low fours and are being predicted to reach the mid-fours in 2018. Although slightly higher, interest rates will remain at historically low levels. The slight increase may have the effect of slightly reducing the purchasing power of some buyers. In the $1 million-$3 million range, we anticipate a continuation of high sales activities close to job centers. For the $3 million–$5 million range, we anticipate steady sales. For the ultra-luxury market, we see select buyers for homes. The effects of the federal income tax proposal will need to be evaluated when the final proposal is approved and signed into law. The housing market will continue to be challenging for buyers looking for homes in high-demand areas. In order to compete with other qualified buyers, buyers need to position themselves to be leaders in the pack. The best strategy buyers can employ is to be Buyer-Ready, Day-One™. That means either being fully underwritten for a mortgage and/or leveraging your buying power with cash. The best time to sell is when the timing is right for you. During the winter market, the sales activity to new listings ratio is at its highest. After the first of the year, the seasonal price appreciation boost kicks in. Whatever the season, as long as you are both buying and selling within the same market timing, the result is often the same net seller equity. For more information, please visit www.johnlscott.com.